Scattershooting on a Sunday night after watching the Cubs and Indians and while watching the Eagles and Cowboys via PVR. . . .
USA Hockey will play host to the 2018 World Junior Championship and it will include an outdoor game between Team USA and Canada at 71,870-seat New Era Stadium, the home of the NFL’s Buffalo Bills. The game has been turned into a gimmicky cash grab and will be played Dec. 29, a move that presumably provides a couple of snow dates. Under no circumstances should an important round-robin game at the WJC be turned into a gimmick. But that’s exactly what has been allowed to happen. With New Era Stadium having a capacity of 71,870, the gate should be well in excess of US$7 million. How much of that cash will go directly into the pockets of the young men playing in that game? The Kootenay Ice has been down and out for over a season now, so you wonder if what happened over the weekend signals the turning of a corner. Luke Pierce, one of junior hockey’s bright, young head coaches, likely would say it’s too soon to tell. But the Ice just swept two games from the defending-champion Brandon Wheat Kings and you can bet the biggest smiles in Cranbrook belong to the Kootenay players. Enjoy it boys; you’ve earned it. The WHL features 22 teams and — thanks to a system that includes loser points — 16 of them have winning percentages of .500 or higher. In reality, there are 11 teams that have won at least as many games as they have lost. The NHL’s New York Islanders scratched F Mathew Barzal again on Sunday, meaning he has played in only two of the team’s first nine games. After beating the visiting Toronto Maple Leafs, the Islanders are 4-5-0. Under the terms of the CBA, the 19-year-old Barzal has two options — the Islanders or Seattle Thunderbirds. F Nolan Patrick of the Brandon Wheat Kings didn’t play again Sunday. Patrick, the consensus No. 1 pick in the NHL’s 2017 draft, hasn’t played since Oct. 11. He has missed eight of the team’s 14 games. Patrick had surgery for a sports hernia in July and speculation is that there are issues. Hockey Canada has to be getting nervous because it will be announcing the roster for the national junior team’s selection camp in about a month. If you are with one of the WHL Western Conference’s other nine teams, you have to be concerned with the fact that the Kelowna Rockets are heating up. After a terribly slow start under new head coach Jason Smith, the Rockets have won six in a row to get to 9-7-0. It’s also worth noting that F Nick Merkley has two goals but they came in his last two games, something that bodes well for Kelowna. It’s going to be appointment viewing when Roger Goodell, the commissioner of the NFL, presents the Super Bowl trophy to quarterback Tom Brady of the New England Patriots on Feb. 5 in Houston. Mark the date on your calendar. With October about to leave us, you do realize that there are only eight Saturdays left before Christmas Day, don’t you? The last one of those eight is Christmas Eve. Ian Mulgrew, one of the Vancouver Sun’s two political columnists, has written another piece involving the proposed class-action lawsuit that is aimed at the CHL, WHL, OHL and their teams. In this one, Mulgrew followed up on last week’s story that originated with TSN’s Rick Westhead. "Canadian and Western Hockey League teams have been ordered to reveal their finances in a player’s class-action lawsuit for failure to meet employment standards. “In a big win for the major junior players, Alberta Court of Queen’s Bench Justice R.J. Hall said the teams must produce evidence to back their claims that their financial straits are so dire they can’t afford to pay the talent. “The leagues argued the disclosure order was too broad and the money numbers should not be revealed until after the lawsuit was certified, but the judge disagreed. Mulgrew’s latest piece is right here. Justice R.J. Hall of the Alberta Court of Queen’s Bench ruled on Friday that while all 22 WHL teams must produce financial statements and tax returns for every year from 2011 to the present, the OHL’s 20 teams may not be included. However, if the WHL chooses “to withdraw affidavits” from OHL teams, then those teams wouldn’t have to produce that information. What isn’t in doubt is that David Branch, the OHL commissioner who doubles as CHL president, and Ron Robison, the WHL commissioner, have been ordered to turn over a lot of information. Justice Hall’s ruling from Friday doesn’t include a date by which the requested information must be provided. As of Sunday evening, there hadn’t been any comment from anyone involved in the CHL, WHL or OHL. 6-2 your final over the Wheat Kings as the ICE take both games in the two-game set! At Cranbrook, B.C., the Kootenay Ice erased a 1-0 deficit with four straight goals and went on to beat the Brandon Wheat Kings, 6-2. . . . The Ice had beaten the visiting Wheat Kings, 2-1, on Friday night. . . . Kootenay went into the weekend series with the defending champions having won just 13 of its past 85 games. . . The Ice now is 3-8-4 and has won two in a row. . . . The Wheat Kings (6-6-2) are lost three straight. . . . On Sunday, F Baron Thompson gave Brandon a 1-0 lead with his first goal at 8:38 of the first period. . . . The Ice tied it when D Cale Fleury scored his second goal with 0.3 seconds left in the first. . . . F Max Patterson’s goal, on a PP, at 8:57 of the second period put the home boys out front. . . . He’s got two goals. . . . D Troy Murray’s first goal, at 1:37 of the third period, added insurance and F Matt Alfaro stretched the lead at 9:49. . . . Brandon F Connor Gutenberg cut into the lead with his third goal, at 10:09, but the Ice closed it out on F Zak Zborosky’s 12th goal, at 11:55, and another from Alfaro, into an empty net, at 18:42. Alfaro has six goals. . . . Zborosky is tied for the WHL goal-scoring lead with F Michael Rasmussen of the Tri-City Americans. . . . Murray and Fleury each had two assists, with Zborosky adding one. . . . F Reid Duke had two assists for Brandon. . . . G Payton Lee blocked 35 shots for Kootenay, while Brandon got 33 saves from Jordan Papirny. . . . Papirny, 20, tied the Brandon franchise record for career regular-season starts (172). He shares that mark with Glen Hanlon, now the GM of the Vancouver Giants. . . . The Ice was 2-3 on the PP; Brandon was 0-3. . . . Announced attendance: 1,573. At Portland, the Kelowna Rockets erased a 2-0 second-period deficit to beat the Winterhawks, 3-2. . . . One night earlier, the visiting Rockets beat Portland, 5-3. . . . On Sunday, the home side skated to a 2-0 lead on goals from F Joachim Blichfeld, his fifth, at 12:41 of the first period, and F Skyler McKenzie, his 10th, on a PP, at 14:30 of the second. . . . Kelowna F Rod Southam got perhaps his club’s biggest goal when he scored shorthanded just 26 seconds after McKenzie. . . . The Rockets tied the game on F Nick Merkley’s second goal of the season — and second in two nights — on a PP, at 9:35 of the third period. . . . F Tomas Soustal snapped the tie with No. 7 at 11:39. . . . Merkley also had an assist. . . . F Cody Glass had two assists for Portland. . . . Each of the goaltenders — Brody Salmond of Kelowna and Cole Kehler of Portland — stopped 42 shots. . . . Kelowna was 1-3 on the PP; Portland was 1-5. . . . The Rockets (9-7-0) now have won six in a row. . . . The Winterhawks (8-8-0) have lost five straight. . . . Announced attendance: 5,117. 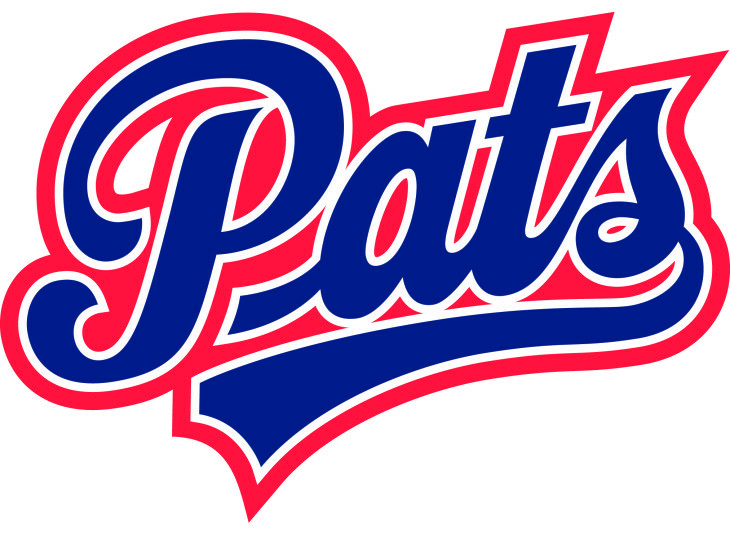 WHL’s best winning percentage (.885) and remain the only one of the CHL’s 60 teams not to have lost at least once in regulation time. . . . No one knows the Pats’ history as does Kevin Shaw and he says the franchise record for the best start is from 1964-65. The Pats began that season by going 14-0-4, with the last number representing ties (remember them?). . . . The Thunderbirds (4-6-1) are 1-1-0 on their East Division trip. . . . After Brooks scored his fifth goal, D Connor Hobbs and F Dawson Leedahl added empty-netters. . . . Leedahl added two assists to his goal, his fifth this season, while F Sam Steel (10), F Lane Zablocki (6) and Hobbs (3) each had a goal and an assist. . . . Seattle D Ethan Bear, scored his third goal, and added an assist. He has two goals and three assists in the first two games of this trip — he has been in on all five of his team’s goals in the two games. He’s from Ochapowace, Sask., which is just east of Regina. . . . Seattle got a goal and an assist from F Sami Moilanen, who has three goals. . . . Regina G Tyler Brown stopped 26 shots, four more than Seattle’s Rylan Toth. . . . The Thunderbirds were 3-5 on the PP; the Pats were 2-5. . . . Announced attendance: 6,484. Seattle at Saskatoon, 7:05 p.m.